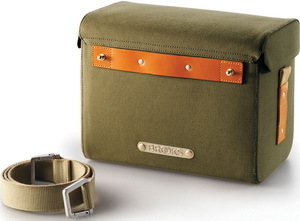 A handlebar bag is an essential piece of luggage for every cyclist undertaking a long journey. Practical for getting at what you need without having to stop and unpack, the Isle of Skye is the perfect place to store your map, phone, wallet, and snacks whilst riding. Off the bike, the detachable shoulder strap converts the bag into a worry-free carryall for walking. Attaching easily with the KLICKfix compatible Ortlieb attachment system, the Isle of Skye features vegetable-tanned leather details and bluesign-approved waterproof textile, tested for 2000mm water column.